Ringo Lam Ling-Tung is a famous Hong Kong film director, producer, and screenwriter. He died abruptly at his home today at Villa Rhapsody, Sai Sha Road, Symphony Bay. The wife called the ambulance but he was pronounced dead when they arrived. Cause of death will be determined by a post autopsy report. Born in Hong Kong in 1955, Lam initially went to an acting school. After finding he preferred making films to acting, he went to Canada to study film. In 1983, he returned and began filming comedy films. After the commercial success of his film Aces Go Places IV, he was allowed to develop his own film. Lam directed City on Fire in 1987, which led him to winning his first Hong Kong Film Award, and has been extensively referenced as the fundamental inspiration for Quentin Tarantino‘s first film, Reservoir Dogs. Lam followed up City on Fire with other similar films that shared a dark view of Hong Kong society. Many of these films starred Chow Yun Fat. In 1996, Lam made his first American film, Maximum Riskstarring Jean-Claude Van Damme. 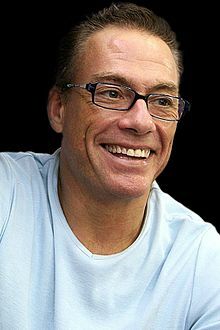 Lam would continue working on film productions in both Hong Kong and two more American productions with Jean-Claude Van Damme until 2003. Lam’s final directorial effort was directing one third of the portmanteau film Triangle along with Tsui Hark and Johnnie To. In 2014, it was announced that Lam was working on a new feature film.